Toolnut has a Makita deal where you get the XT268T 2 5.0 battery brushless impact and drill kit a free 6.0 battery, and one free 18v bare tool of choice for $399. The choices are a recip saw, OMT, circ saw, or the new router. Seems like a decent deal. Regular price for the kit is $429 without the free stuff. I really like that router and the cut-out saw makes me almost ready to pull the trigger, but I need another battery platform like I need a hole in my head. I ran across another Makita deal from Toolnut that is seriously tempting me to pull the trigger. When you buy the XLC02R1B (bare tool vacuum), you get a starter kit (2.0 battery and charger) for free and the deal qualifies for $20 off. 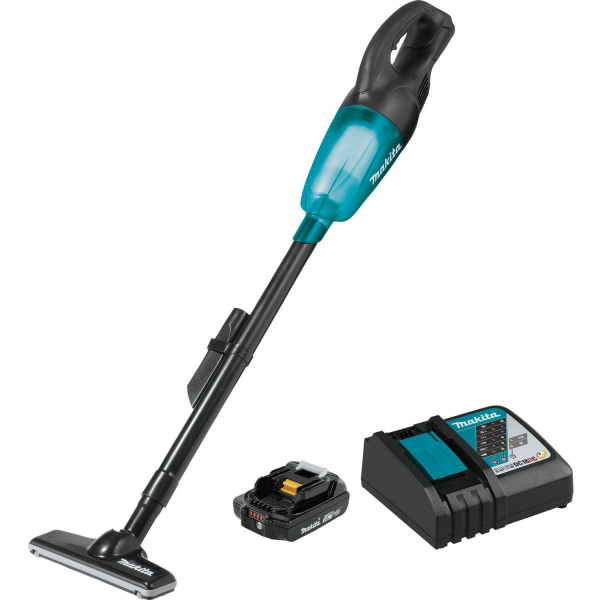 So that's $79 for the vacuum, battery and charger - great entry into the platform for those of us interested in some of their 18v specialty tools. That’s a good deal, Home Depot charges that for just the 2.0 battery so you can also look at it as getting a free charger and vacuum when you buy a battery.